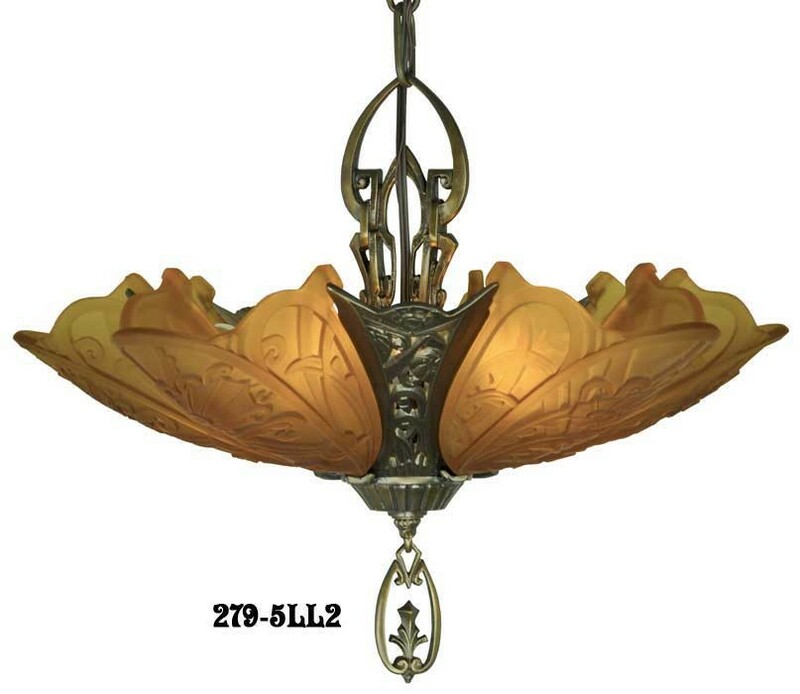 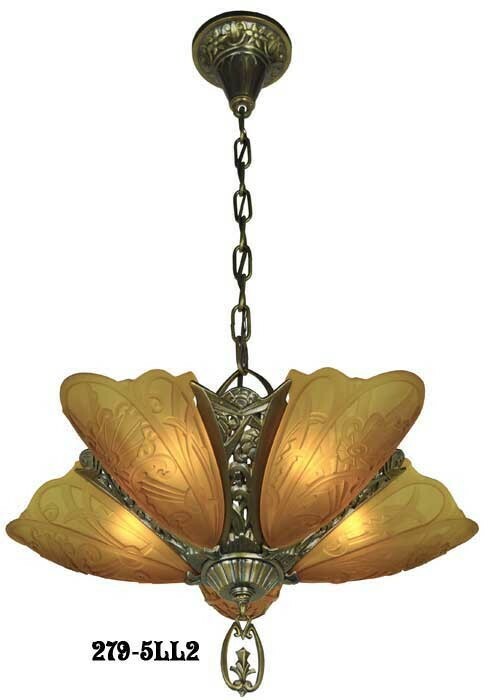 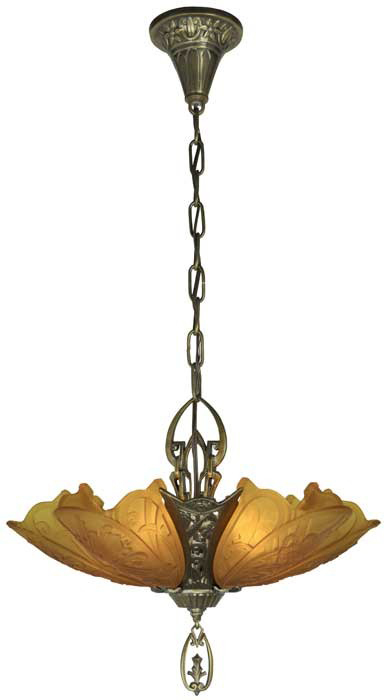 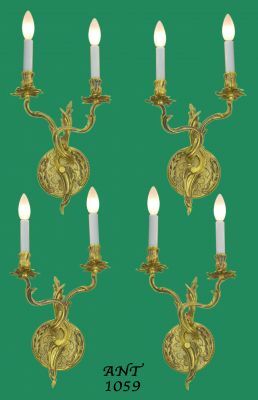 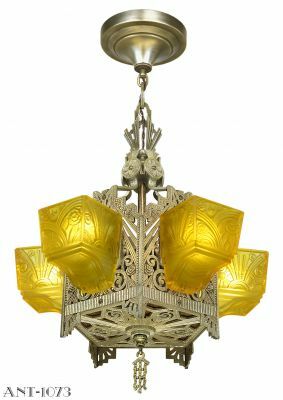 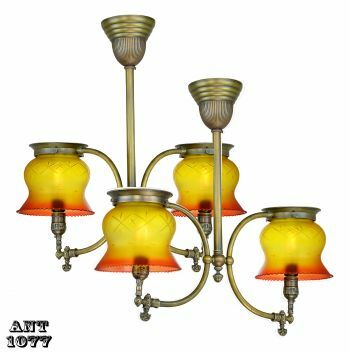 This Lincoln slip shade 5-light chandelier is made by lost wax casting in solid brass. 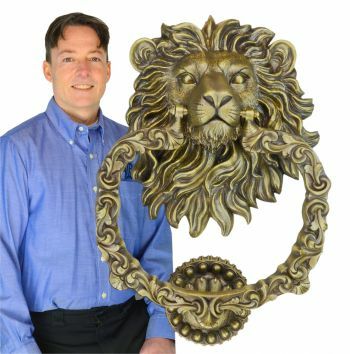 It is available in our mellow brown Antique Brass Finish, silvery nickel-plated brass, our our matte black Oil Rubbed Bronze Finish. 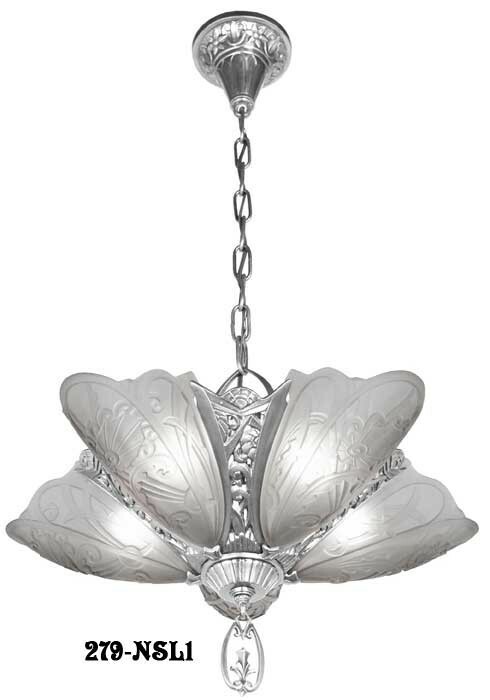 Now also available in silver tone Pewter Finish, cast in white metal. 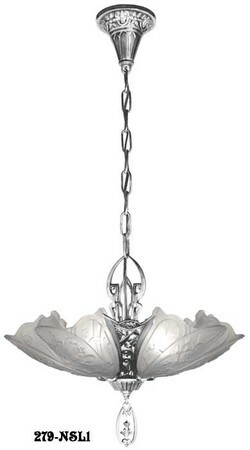 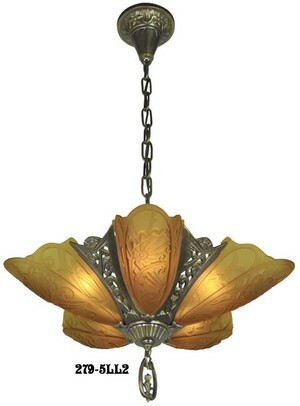 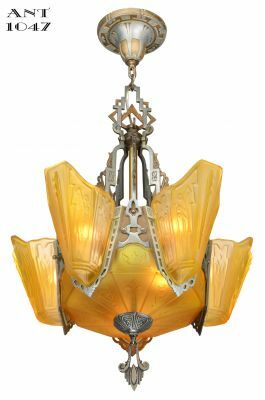 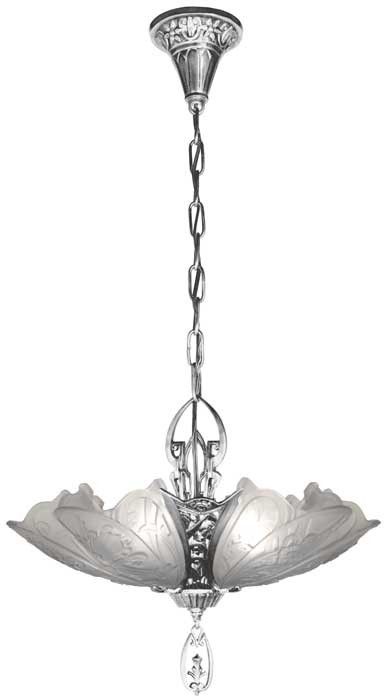 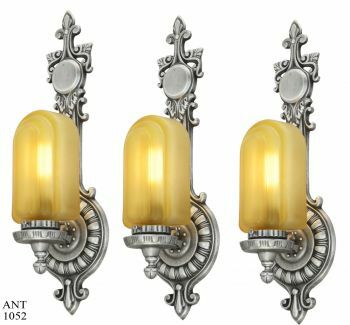 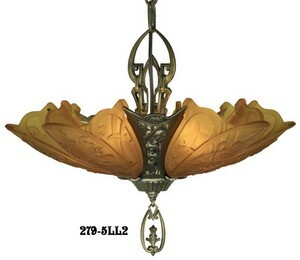 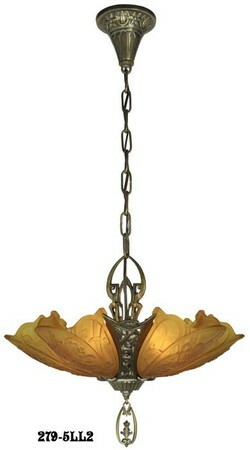 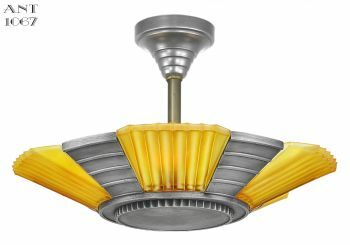 This lovely fixture comes with a choice of either frosted shades (pictured), amber (pictured). 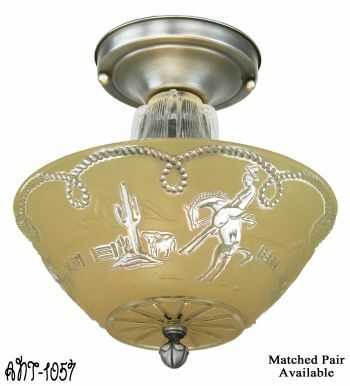 Use the menu above to select the finish and shade you prefer. 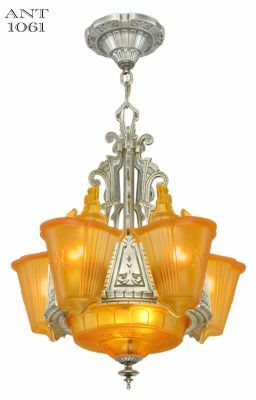 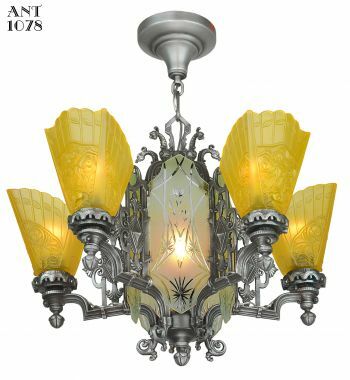 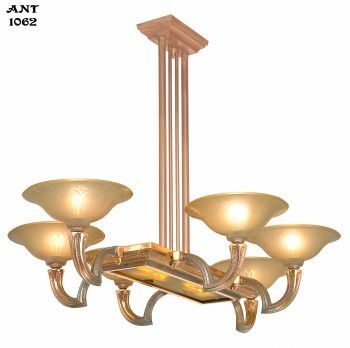 Height: Supplied at 29 ½", the chandelier can be shortened to as little as 20 ½" with the finial (or even 7" less without the finial). 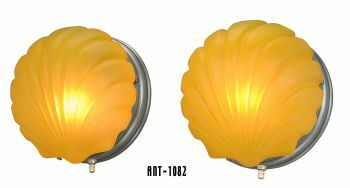 Wattage: 5 bulbs at 100 watts (incandescent) per bulb, or purchase our optional LED light bulb 35C-E26. 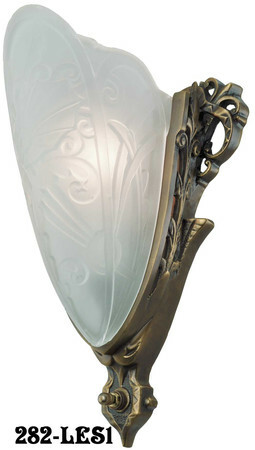 Each bulb uses only 1.6 watts of electricity, yet has an output of about 25 watts of incandescent equivalent light. 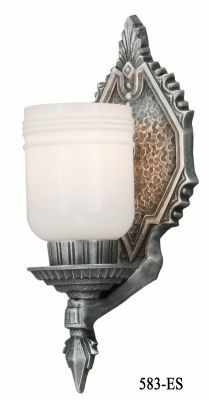 Makes running this light all night long, perhaps as a nite lite, very economical indeed and cool to the shade as well. 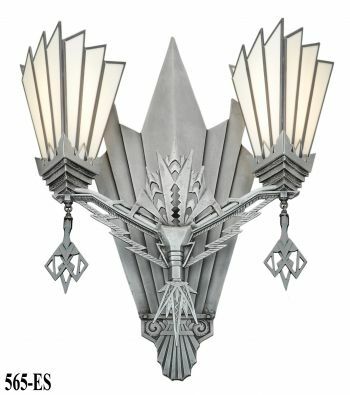 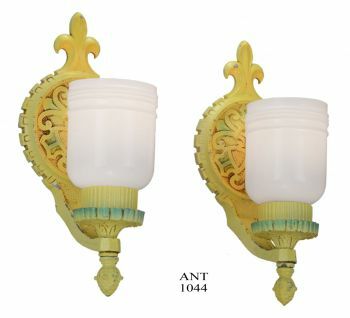 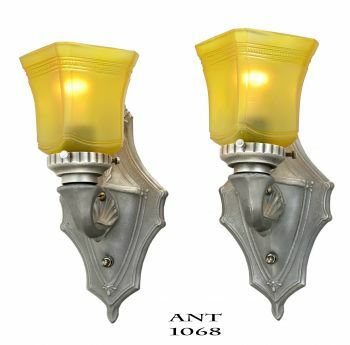 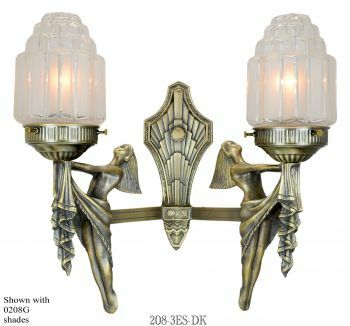 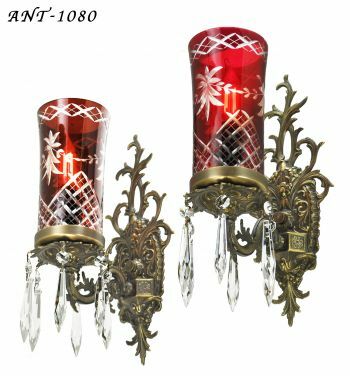 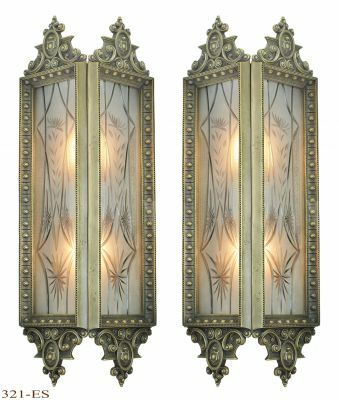 We also sell the matching wall sconces and 2-light pendants for this series. 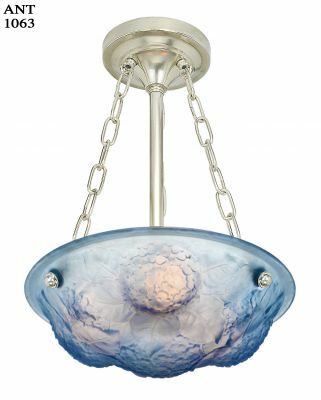 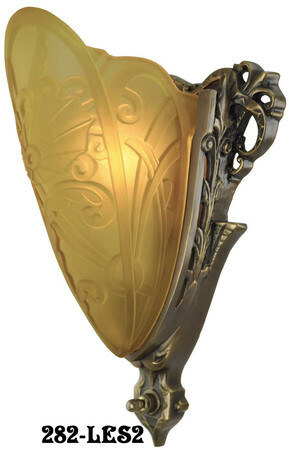 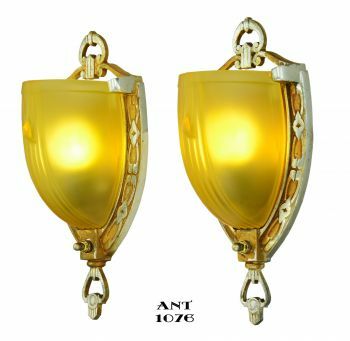 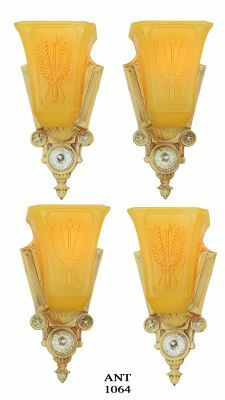 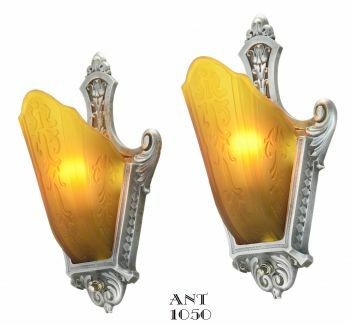 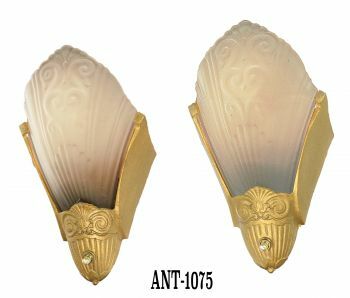 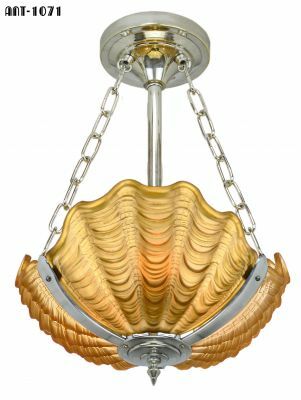 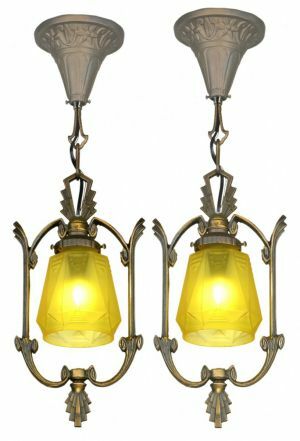 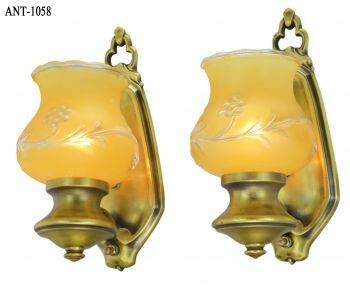 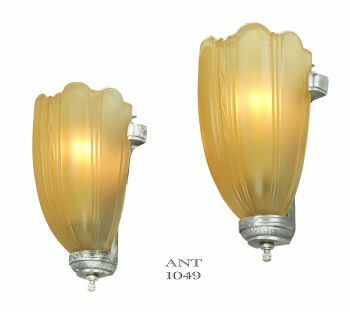 If you already own an antique Lincoln Medieval sconce or pendant, we now sell the glass replacement shades, cast from an original.